The admissions office is pleased to offer a new visit opportunity for the local community: Tuesday Tours. Every Tuesday beginning at 9:30 a.m., a member of the admissions team will offer a tour of Christendom’s campus, followed by 11:30 a.m. Mass in the college’s Christ the King Chapel. 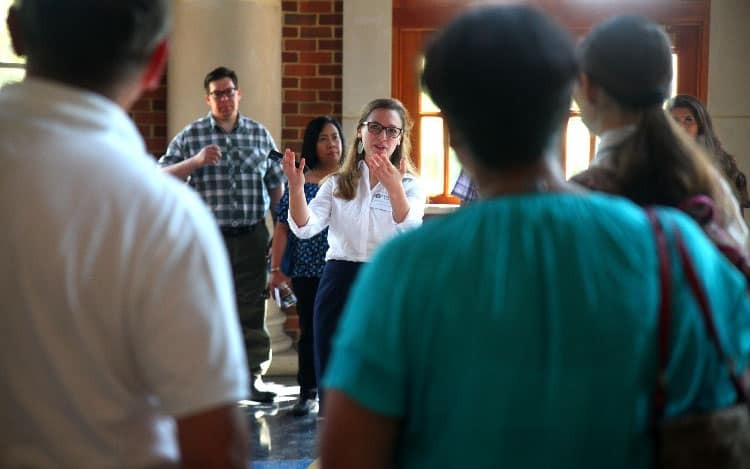 The tour will also give visitors the opportunity to meet with the college’s staff, faculty, and students during the tour and after, giving them a real taste of life at Christendom. Tuesday Tours will be offered every week that school is in session at Christendom, along with other select dates, beginning February 5, 2019.